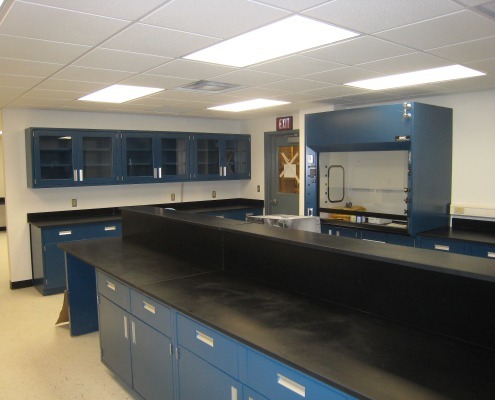 Laboratory Countertops & Bench Tops | LFFH, Inc.
Today’s laboratory needs must meet the highest international standards and comply with rigorous codes. 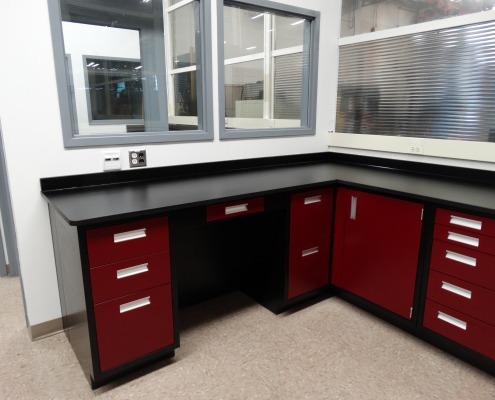 Therefore, selecting the right laboratory countertop material is of crucial importance in an environment where tests and experiments must not be contaminated. 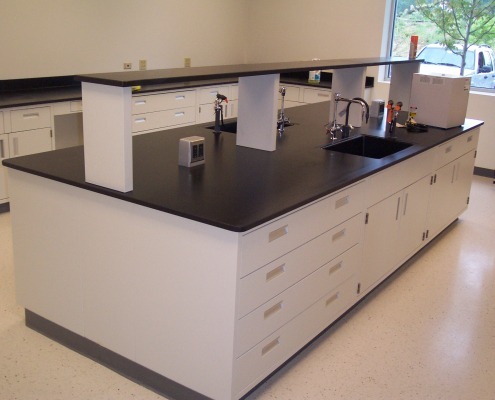 Factors for choosing a laboratory worktop include hygiene, cleanliness, chemical and stain resistance and are essential to the longevity of the work surface. 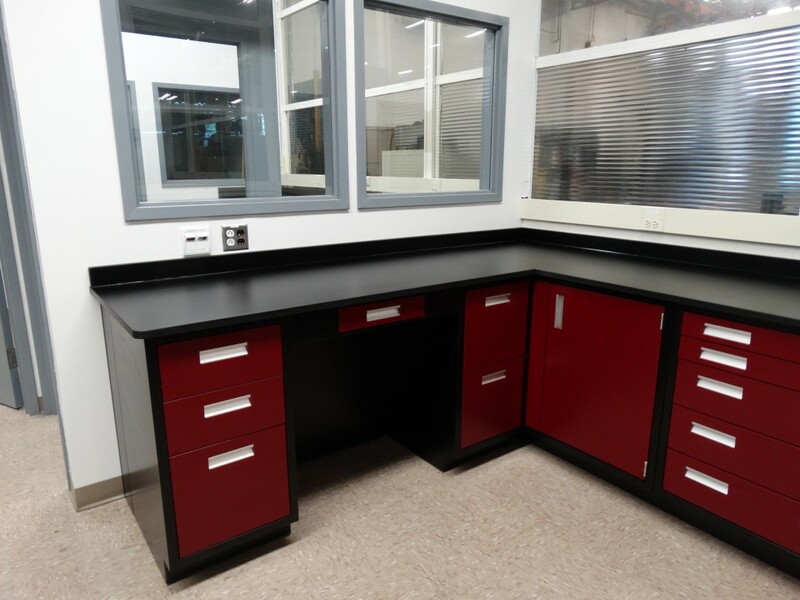 Lab Furniture and Fume Hoods Inc. can help you successfully choose from a wide variety of laboratory countertop and bench top materials for a solution that meets your needs for durability and budget. We can combine different materials to successfully create bench tops and countertops to meet specific applications and specifications. 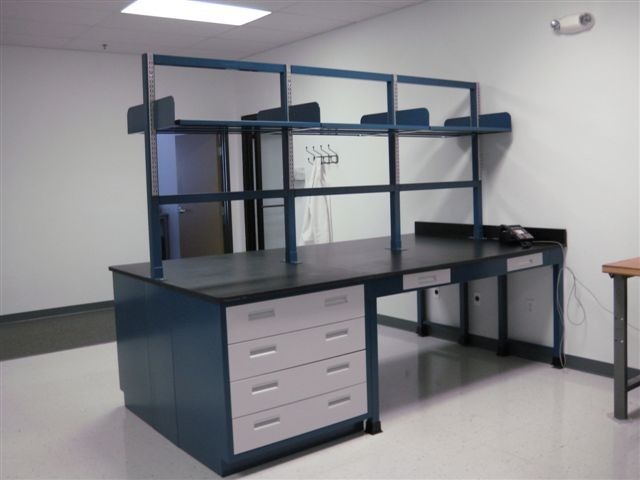 We also offer a variety of lab accessories to pair with your countertop including lab sinks, faucets and fixtures. 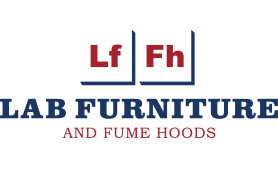 For help choosing the right countertops and designing your laboratory, contact LFFH Inc. or call us at (262) 204-7600. 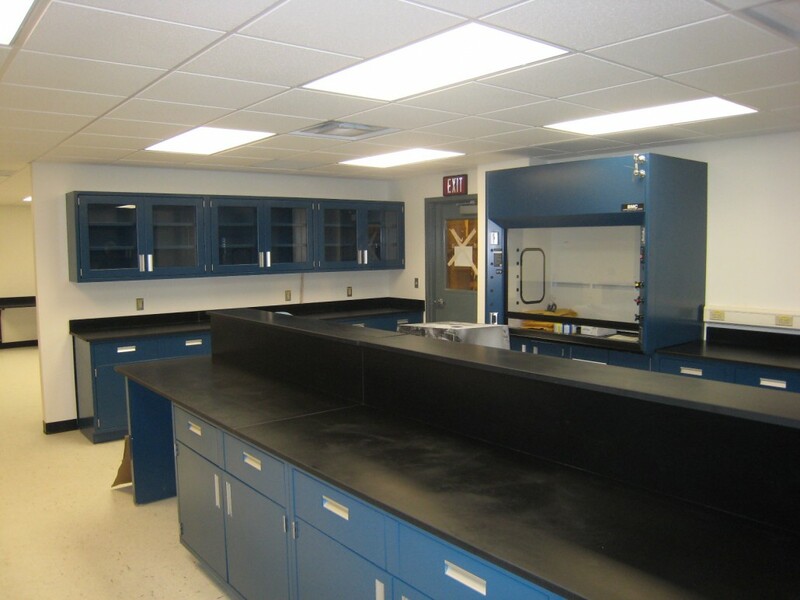 We offer free, no obligation laboratory design services. Suggested Areas of Use Excellent performance in all areas without extreme heat loads. Suggested Areas of Use High moisture areas; biological laboratories; areas exposed to water and abrasion. Edge grain maple bench tops, also known as butcher block, are robust and forgiving in physically demanding environments. The finish, DURAKRYL 102, is a tough, acrylic coating that repels alcohol, bleach and most household solvents. This is one of the few materials that can take hard wear and tear, be resurfaced or repaired without any special tools or particular skill, and end up looking as great as ever. 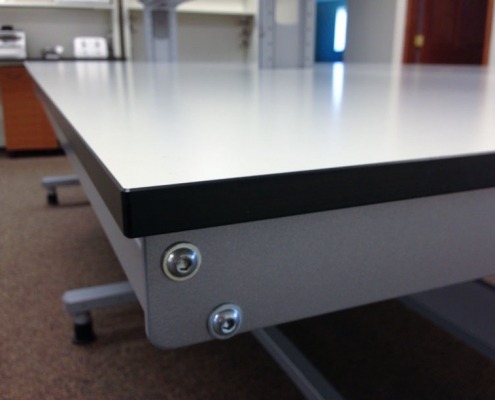 Keep in mind that this material is ideal for physical testing environments. It is suitable for use in biological areas, but has poor chemical resistance properties. 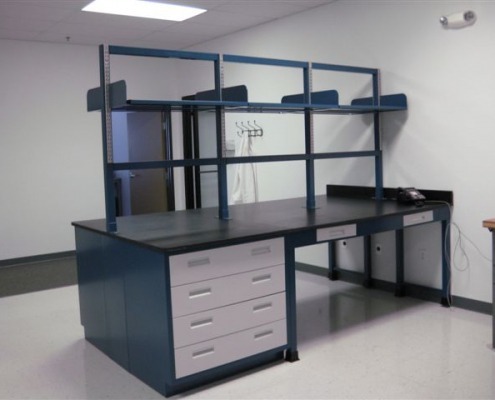 Suggested Areas of Use Physical testing areas of the lab with minimal chemical, moisture or bacteria exposure. It is wood and will burn – no open flame. 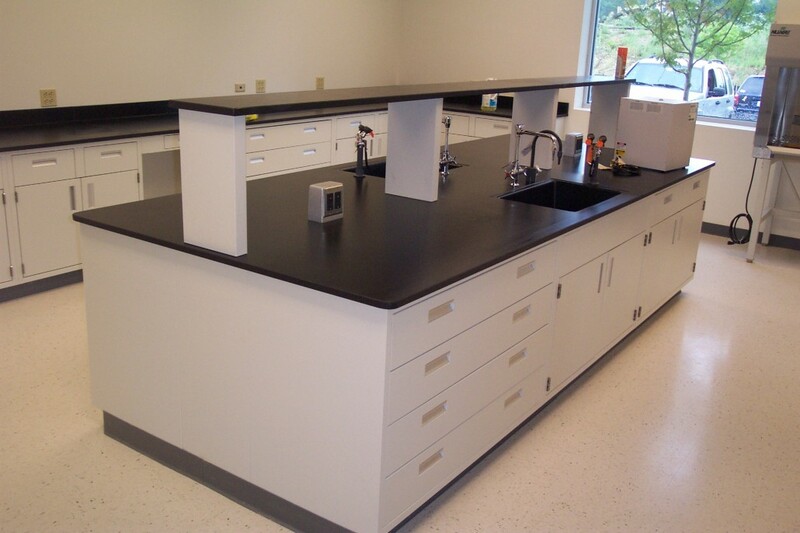 High pressure plastic laminate laboratory countertops are budget-friendly and work well in many areas. 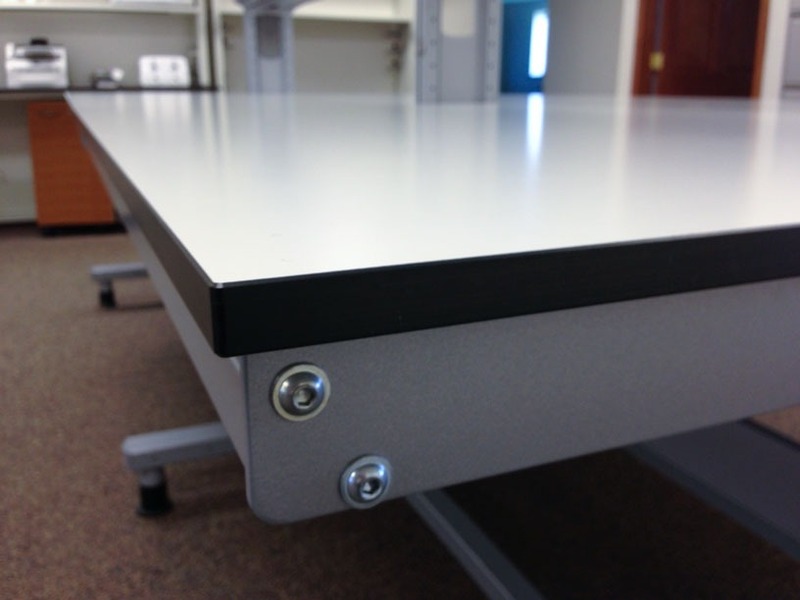 Laminate laboratory countertops are simply a “face” layer of plastic secured to a core under elevated temperature and pressure. The properties of the “face” layer can vary and different “grades” of laminate tops are available.